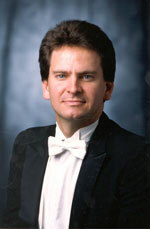 Christopher Deviney became principal percussion of The Philadelphia Orchestra in 2003. Prior to assuming this title, he was section percussionist in the Houston Symphony. Mr. Deviney has also previously performed and recorded with the New Orleans Symphony, the Toronto Symphony, and the New York Philharmonic. Before beginning his current tenure in Philadelphia, he was a substitute percussionist with The Philadelphia Orchestra on many occasions. He traveled with the Orchestra on its 1991 tour of Europe with Riccardo Muti and its 1996 tour of Asia with Wolfgang Sawallisch. He also joined the Orchestra for recording sessions with conductors Charles Dutoit, Myung-Whun Chung, and David Zinman. Mr. Deviney was a student at the Aspen Music Festival where he was the recipient of the first Charles Owen Memorial Fellowship. He was also a two-year Tanglewood Institute Fellowship recipient. Mr. Deviney received his Bachelor of Music degree in percussion performance from Florida State University where he studied under Gary Werdesheim and his Master of Music degree in percussion performance from Temple University where his teachers included Alan Abel (retired associate principal percussion of The Philadelphia Orchestra). In 2002 Mr. Deviney was a featured clinic presenter at the Percussive Arts Society International Convention. He has presented clinics for PAS Day of Percussion events in Louisiana, Florida, and Pennsylvania. He is an adjunct professor at Rutgers University and has given master classes at Temple University and the Curtis Institute of Music. In addition, he has given professional coaching at the New World Symphony. In 2005 he received the Florida State University Dohnányi Award for Excellence in Music Performance. Mr. Deviney is a proud endorser of Sabian cymbals, Pearl/Adams concert percussion, and Innovative Percussion mallets. He resides in Elkins Park (P.A.) with his wife, Tonja, and daughter, Caitlyn.